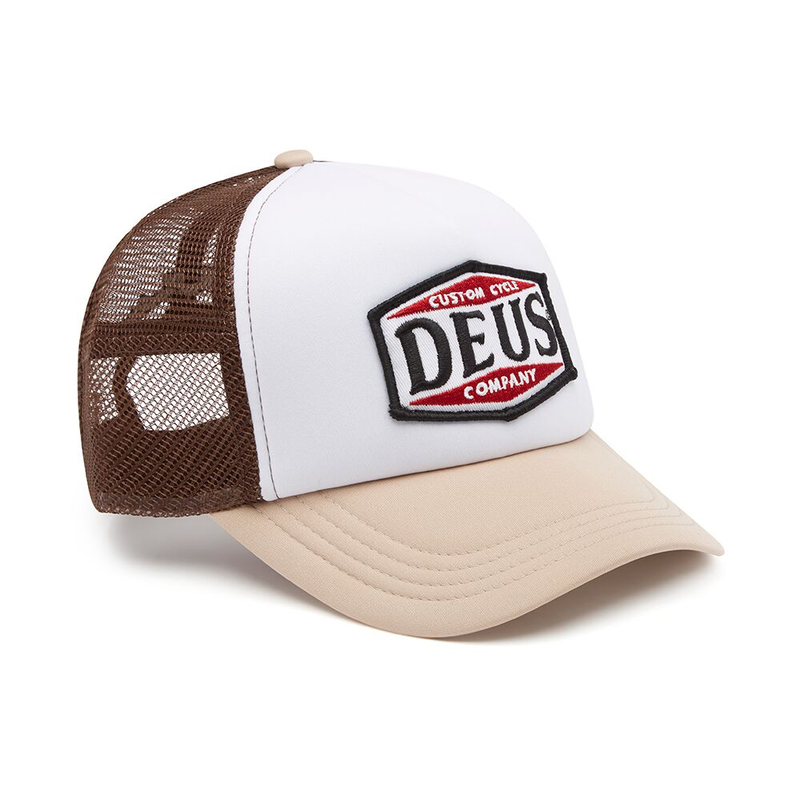 60% polyester interlock 40% nylon mesh construction. 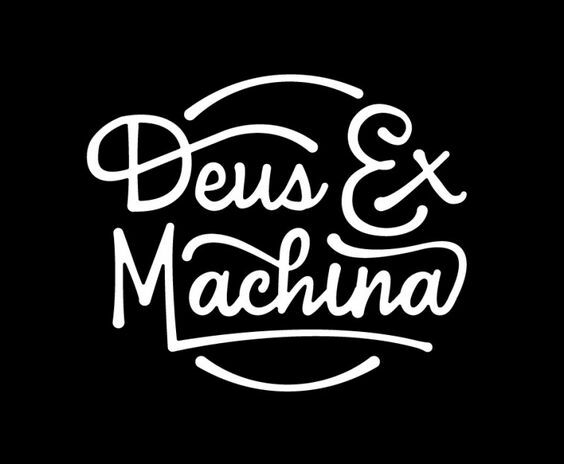 The American Twin Trucker is a part of the Deus Ex Machina Spring 2019 Accessories Collection. 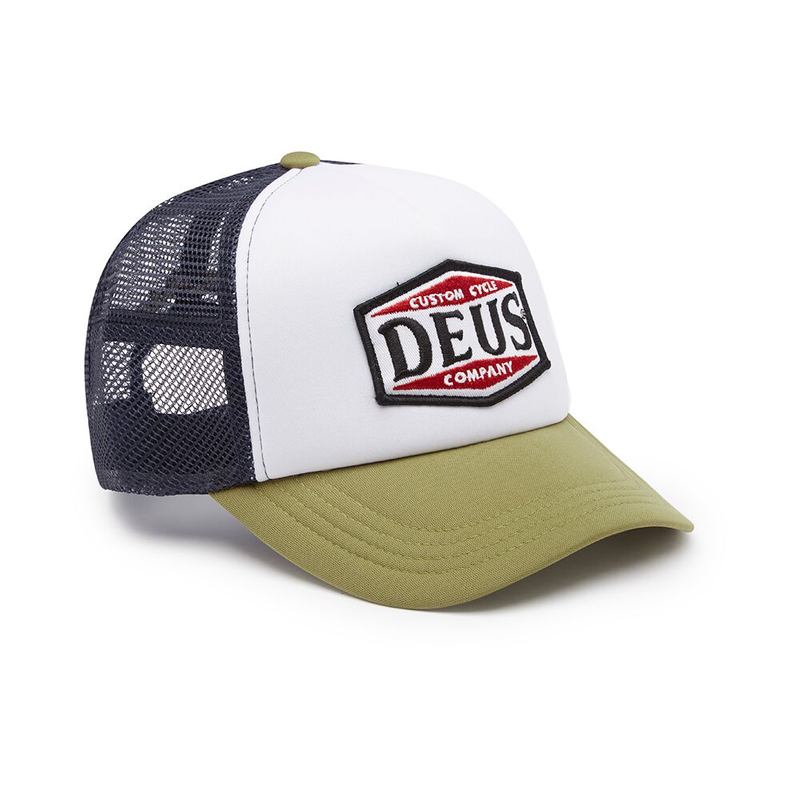 This standard trucker hat features a front embroidered patch of original Deus artwork, back embroidered logo, woven flag label and plastic snap adjuster, with 60% polyester interlock 40% nylon mesh construction. One size fits most.